Electronic Arts boss John Riccitiello says the publisher plans to significantly reduce the number of boxed games it releases next year and will focus more heavily on growing the digital side of its business in the future. A reduction in the number of titles it releases might seem to make sense given the hard times that have fallen on EA, but the cutbacks planned for 2010 actually appear to be more of a continuation of a long-term trend. The publisher released more than 60 boxed games in 2008 but only 50 this year; for 2010, the plan is to put out 40 and Riccitiello suggested that number could be cut even further as the market continues to change. 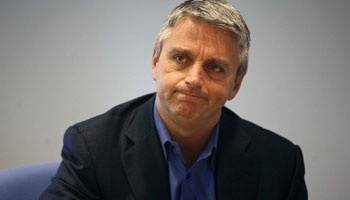 "30 wouldn't shock me at some point in the future," Riccitiello said yesterday at the Reuters Global Media Summit. "We're the world's leader in packaged goods games, we make more of them than anybody. We're not suggesting that business is going away... [but] there's this other thing that's growing." "It's our goal for that [digital] business to be as important as, and over time maybe more important than, our packaged goods business," he added. The statement echoes comments Riccitiello made in a Reuters interview in which he pointed out that digital revenues now account for almost half of the videogame industry. "When people think of games they traditionally think of the Xbox, the PlayStation and the Wii, and they forget about all these online services that are out there - subscription, microstransactions, games they find on Facebook or if they go to Pogo," he said. "If you add all that stuff up, it's almost half of the industry now. It's about 40-45 per cent. Next year it's likely to be a larger share of the total industry and it'll be bigger than the console games all put together." "If EA's digital business were a stand alone company it would be the darling of Wall Street," he continued. "It's in a larger company right now, but we're building it very quickly and our goal at Electronic Arts is to have a very profitable packaged goods business, but also to have a digital business of a similar scale over time."